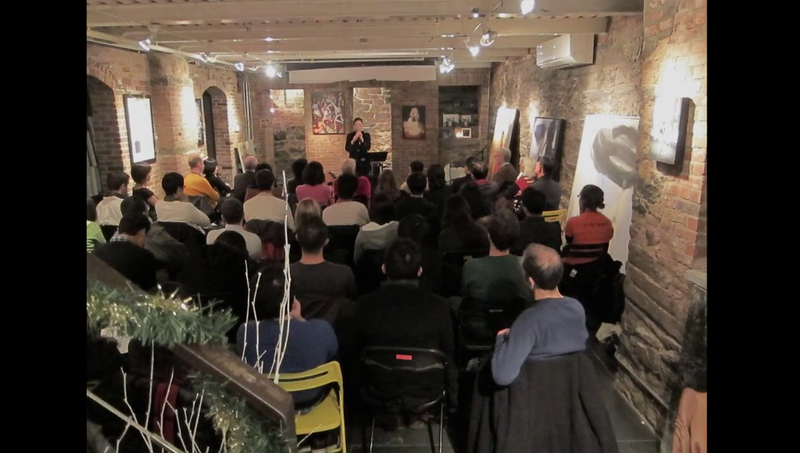 On Jan 17, 2012, Bennett Media Studio again welcomed a full house for an intimate concert of Korean Traditional and Experimental music, with Gamin Kang as the featured artist. Gamin Concert Jan 17, 2012 from Bennett Media Studio on Vimeo. Gamin Kang, the main performer of the night on ancient Korean instrument Piri, played together with Satoshi Takeishi on percussions as well as Jin Hi Kim on electric Komungo, which is a traditional Korean stringed musical instrument. 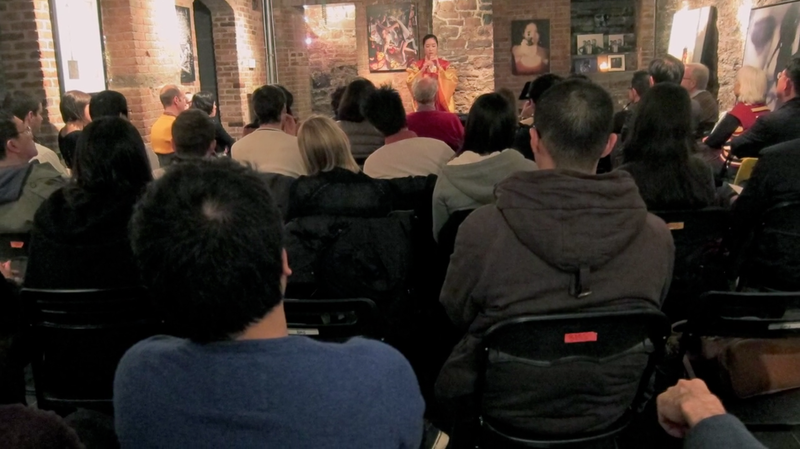 The three artists connected the old and new with traditional Korean instrument—meeting the sophisticated sounds from new experimental languages of contemporary music, offering the audience a real East Asian Cultural feast exclusively at BMS in New York City. I took this photo of the audience after my closing remarks and asked them to say goodbye to the artists.